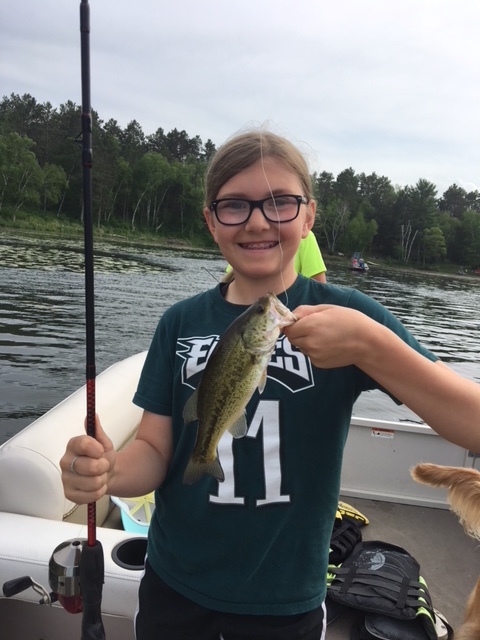 Gabby, age 11, caught this large mouth bass in “Sunfish bay” around 7:30 in the evening using a leech for bait. She was fishing with her cousin, grandma, mom, and siblings. Gabby loves to try to out fish her cousins! There is still time to enter the Kids' Fishing Contest. Get out those fishing poles! Take pictures and send them to us. (See all the rules by following the link below.) Three lucky winners will be drawn at random before the LLAA Annual Meeting. You do not need to be present to win. We will notify the winners using the email address of the person that submitted the child's picture. We will also update the website with the contest winners. Don't forget the LLAA Annual Meeting is Saturday, 6/30/18, at the Hubbard Community Center, Hubbard, MN.